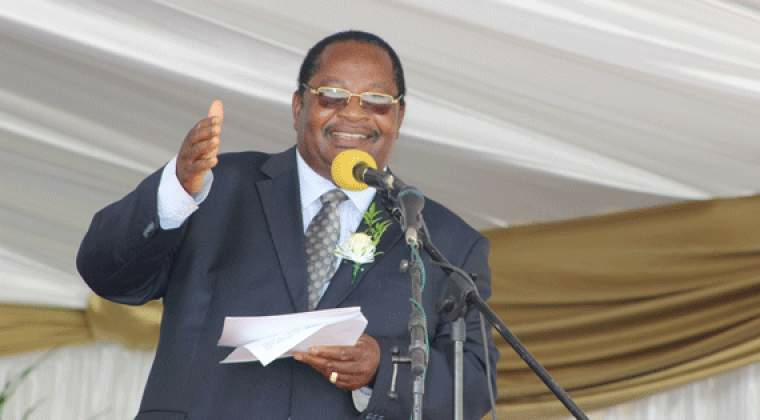 Zanu-PF has scoffed at reports that the economic challenges prevailing in the country will push President Emmerson Mnangagwa to engage the opposition MDC Alliance and form a government of national unity (GNU). The opposition MDC Alliance utterances that its leader Advocate Nelson Chamisa holds the key to the country's economic revival while at the same time subjecting the people of Zimbabwe to untold sufferings by inviting illegal sanctions came under the spotlight at the Zanu-PF special caucus meeting to discuss the prevailing economic situation. The caucus meeting resolved for a national dialogue between key stakeholders with the ruling party, government and party's Secretary for Administration Dr Obert Mpofu scoffing at reports of a GNU with the Chamisa led MDC Alliance. "After extensive consultation and investigations, we discovered that there is a hidden hand in the economic situation prevailing, MDC Alliance is going round claiming it has the keys to economic revival envisaging that the situation gets dire and force a GNU, never, President Mnangagwa has a full mandate given to him by the people, they invited sanctions and at the same time want to take advantage to cause chaos in the economy, we are on top of the situation and very soon we the whole agenda will be exposed," laments Dr Mpofu. Another burning issue which came under the spotlight at the caucus meeting was the need for the monetary and fiscal authorities to revisit the new policy measures especially the two percent tax.